What types of academic papers do you write? What if my paper does not match my requirements? What are your guarantees concerning plagiarism? Will the writer know my personal information such as my first and last name? What if I need a large or complex paper urgently and you don't have available deadline choice for my type of order? Our seasoned MA/PhD educated writers have the intellectual experience to research any topic, write papers on any subject and complete your order in as little as 12 hours in some cases. We can handle all types of academic writing assignments, from a 5-paragraph essay to a complete dissertation on thermodynamics. 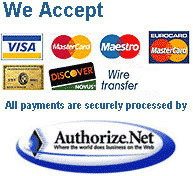 Once you have placed your order with us, you can rest assured that it will meet your expectations. Our writers will meticulously adhere to your exact instructions to produce a custom, top-notch academic paper. By working directly from your instruction you get what you ask for. In the unlikely event that you feel the writer has missed any of your requirements, you can request a revision. The writer will improve your paper and include all your instructions and will not rest until you are happy. Our company employs 140 professional staff writers. We have an educational requirement that a writer must hold a MA/MS or Ph.D. degree. We have several separate writing departments, each specializing in different academic areas: Social Sciences, Management, Humanities, Mathematics, Natural Sciences, Physical Sciences, Medicine, and Law. With our qualified professionals we have the intellectual and technical resources to complete your order and meet your needs. Each writer is subject to a plagiarism to ensure that they are following our strict policy on writing only original documents. Your paper is custom written, never copied and pasted. We have a strict zero tolerance policy against plagiarism and a proven track record of quality. No. We are committed to completely protecting your privacy and providing you with 100% confidentiality. Our support center only provides the writers general information on your order such as your instructions, requirements, sources and the deadline. However, we are sure that having direct contact with your writer truly makes a difference to the final result you get. Each of our clients can contact their writer via our messaging system and make any additional remarks or comments concerning their order to the writer. When your writer gets a message from you they see your order number only - you may be sure that your communication with your writer is anonymous and your identity is always protected. We aim for total customer satisfaction. According to our monthly statistics we have a respectable 95% approval rating among our clients. We work hard to do what is best for our clients. If the final version of the paper does not reflect your specified criteria, ask for a revision within 14 days. 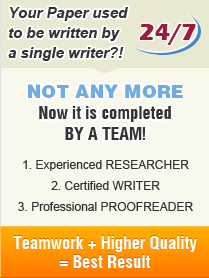 Our writers will add any missing requirements and deliver the revision to you by email. If you provide us with evidence that the revised version is still lacking some of your requirements, you can request a refund within three days after the completion of the order. We focus on quality writing and because some orders may not be able to meet such a short deadline we have disabled this feature. Your total satisfaction is very important so we try to keep a realistic approach to large orders with very short deadlines.